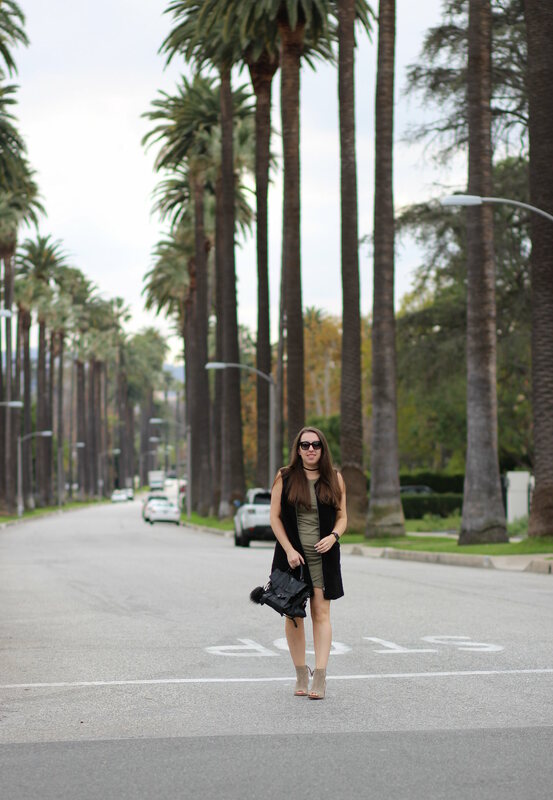 When in Beverly Hills, a blogger must stop to snap the quintessential palm tree-lined street shot. Last weekend I was in Southern California for IMATS, with plenty of time to spare for exploring. I wore this outfit both to the event and running all around the 90210 and beyond. 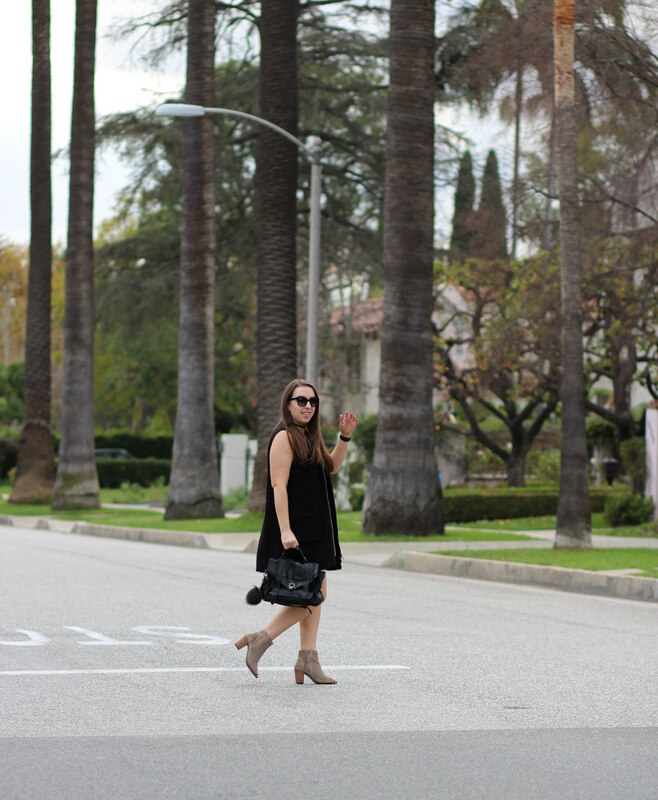 My black wool gilet was made for winter in LA, making it the perfect outwear piece to layer on top of a dress. Like this look? Be sure to check out some of my other outfits or style posts before you go. I’ll have an IMATS haul and LA travel guide also coming to the blog very soon. Thanks for reading! You look amazing and I adore these photos! 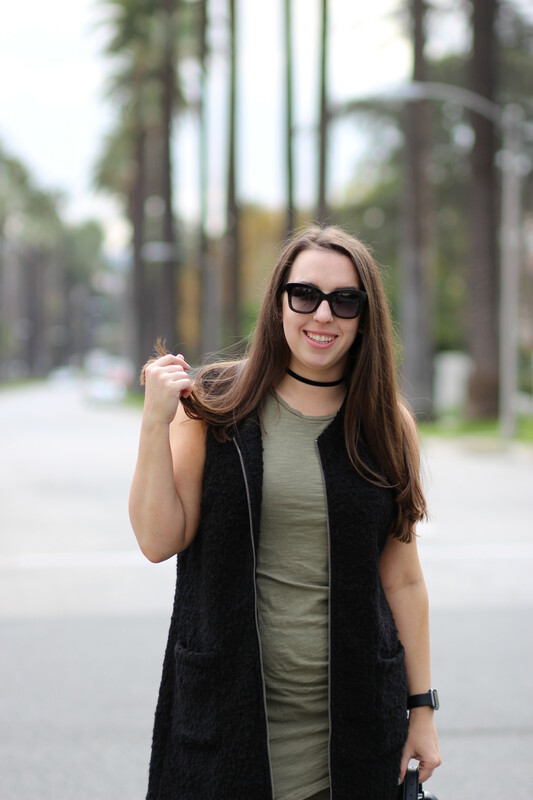 Love this vest and those booties are SO cute! I love this outfit! That vest is so gorgeous! Love this outfit! also love LA so excited for your travel guide! Love this vest on you! Excited to read the travel guide! That vest is gorgeous! Palm trees make good backdrops! LOVE the vest! You look beautiful. Obsessed with those booties.